Need new windows? Are you looking to improve the curb appeal and comfort of your home? Deluxe Windows is a leader in residential and commercial replacement window installations throughout Northern New Jersey. We use only the highest quality materials, and select windows from top US manufacturers. All of our windows are Energy-Star rated to help keep your home or business comfortable all year long while reducing your heating and cooling expenses. We pride ourselves in providing the highest level of quality and service. Whether you are a homeowner looking for a minor upgrade or a builder constructing a large sub-division, we are pleased to assist you in making the best possible decision to suit your needs – all at a very fair and reasonable price. Be sure to check out our numerous 5-star reviews on Google, Yelp, and HomeAdvisor. We've installed over a quarter of a million windows over the last 15 years. Our experience, attention to detail, and commitment to customer satisfaction will ensure your happiness when choosing us to install your replacement windows. These stylish windows lend an air of elegance to any home, and they deliver the most unobstructed viewing areas, structural integrity and ventilation of any operating window. Double Hung windows give homeowners the traditional look that they have enjoyed for generations. They have two operable sashes that tilt in for easy cleaning from inside your home. Tilt & Turn windows tilt inward at the top for ventilation and hinge at the side to swing in for easy cleaning and egress. The hardware is cleverly concealed and single handle locks and operates the window. Combining two sliding windows with a picture window, the End Vent Slider is a more economical choice when you want to combine a great view with added ventilation. A great choice with a traditional look, double slider windows offer easy operation, and numerous convenience and safety features like ventilation limit latches and tilting for easy cleaning. Single sliders are also available. Picture windows provide energy savings and maximum viewing area. Combine with double hung or casement windows for a dramatic design in a flat or bay window configuration. Specialty-shape windows can help you realize your unique design ideas. Choose from styles like Half-round, Circle Tops, “Eyebrow” Tops or Quarter-round windows. You can also get Trapezoids, Octagons or Cathedral specialty shapes. We strive to provide the lowest pricing and greatest value to all of our customers. 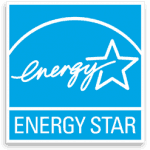 All of our windows are Energy Star rated, meaning your new windows will not only look great, but will reduce your heating and cooling costs while making your home more comfortable. Our replacement windows are manufactured to the highest standards using premium materials. Most of our installations are completed in a single day, and we'll leave your premises spotless. Our commitment to quality begins at home. All of our windows are proudly manufactured in the USA. We keep our promises and do everything possible to ensure your total satisfaction throughout the entire process. With 15 years in the business and over a thousand satisfied customers, you can be confident that we'll do right by you. We work hard to earn every customer's complete satisfaction for a job well done. We had Deluxe Windows come over to give us a quote on installing 20 windows and a new front door at my house. After receiving quotes from two other companies Deluxe Windows was by far the best priced. After finding out from Dmitry who's the owner that they have been in business over 15 years I felt extremely comfortable. The windows arrived even sooner then Dmitry had said they would and his installers installed them right away. I have to tell you I couldn't be happier with the finished product. Dmitry and his team at Deluxe Windows have gained a customer for life! I highly recommend this company. They replaced all of our 1960's basement hopper windows. Dmitry was straight forward about price and process. His staff were professional, fast, and left the job neat and tidy. Really easy company to deal with. Products are great. I wouldn't hesitate to use them in the future. Dmitry was extremely professional and friendly. He always wanted to ensure that I was completely satisfied with every aspect of the job. He is willing to discuss all options and provide the best craftsmanship. I would recommend him to anyone. I had 11 double-hung windows replaced in my house, windows were ready in 2 weeks and installed in 1 day. The work done professionally, I'm highly satisfied with quality and price. Deluxe Windows of Bergen County is a NJ licensed home improvement contractor. We have over 15 years' experience installing replacement windows, and have installed over 250,000 windows. Let us make your home more beautiful, comfortable and energy efficient. Call 973-340-7667. Call 973-340-7667 for fastest service. © 2019 Deluxe Windows and Doors of Bergen County - All rights reserved.